Conca dei Marini is a town and comune in the province of Salerno in the Campania region of south-western Italy. On the 27th (Tue), take in the dramatic natural features at Cave of Smeraldo, then stroll through Fornillo, and then tour the pleasant surroundings at Spiaggia Grande. Get ready for a full day of sightseeing on the next day: steep yourself in history at Villa Cimbrone Gardens, take in the spiritual surroundings of Duomo di Ravello, explore the historical opulence of Villa Rufolo, then examine the collection at Museo della Carta, and finally contemplate in the serene atmosphere at Duomo di Sant'Andrea Apostolo. For reviews, where to stay, ratings, and more tourist information, read Conca dei Marini travel itinerary creator. Vancouver, Canada to Conca dei Marini is an approximately 23-hour flight. You'll lose 9 hours traveling from Vancouver to Conca dei Marini due to the time zone difference. Prepare for a bit warmer weather when traveling from Vancouver in June: high temperatures in Conca dei Marini hover around 30°C and lows are around 25°C. Finish up your sightseeing early on the 29th (Thu) so you can travel to Salerno. While often overshadowed by the Amalfi Coast's array of quaint villages, Salerno has become one of the region's main areas for culture and entertainment, while remaining relatively unmarked by tourism. 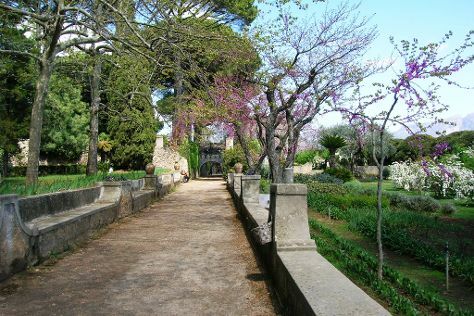 On the 29th (Thu), admire the natural beauty at Giardino della Minerva, make a trip to Centro Storico Salerno, then make a trip to Promenade Trieste, and finally pause for some serene contemplation at Duomo di Salerno. To see ratings, traveler tips, other places to visit, and tourist information, you can read our Salerno holiday planner. You can drive from Conca dei Marini to Salerno in 1.5 hours. Expect a daytime high around 30°C in June, and nighttime lows around 25°C. On the 30th (Fri), you're off tohome.